The Big Stall is Donald Gutstein’s latest work to document corporate strategies to control public policy and public opinion. 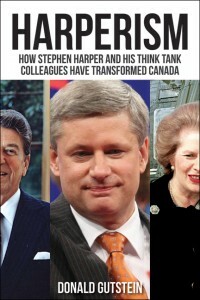 Gutstein’s 2014 book Harperism explains how neoliberalism became the prevailing ideology in Western societies and how Stephen Harper and neoliberal think tanks furthered its dissemination in Canada through privatization, deregulation and the undermining of federal-provincial relations (leaving corporations in the driver’s seat). Four years later, neoliberalism is further entrenched under Justin Trudeau and limits his ability–and desire–to deal meaningfully with climate change. Scientists raised the alarm about climate change in 1988. Thirty years later, little has happened to meet the threat, while the situation has worsened: more greenhouse gases in the atmosphere, the highest temperatures ever recorded, and more fossil fuels being produced than ever before. The Big Stall explains why and how this happened. In fall 2015, the newly elected Trudeau government endorsed the Paris Agreement and promised to tackle global warming. In 2016, it released a major report which set out a national energy strategy embracing clean growth, technological innovation and carbon pricing. Rather than putting in place tough measures to achieve the Paris targets, however, the government reframed global warming as a market opportunity for Canada’s clean technology sector. The Big Stall traces the origins of the government’s climate change plan back to Big Oil. 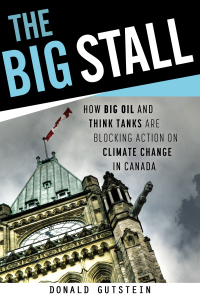 It shows how, in the last fifteen years, Big Oil has infiltrated provincial and federal governments, academia, media and the non-profit sector to sway government and public opinion on the realities of climate change and what needs to be done about it. Working both behind the scenes and in high-profile networks, Canada’s energy companies moved the debate away from discussion of the measures required to create a zero-carbon world and towards market-based solutions that may cut carbon dioxide emissions, but not enough to prevent severe climate impacts. This is how Big Oil and think tanks unraveled the Kyoto Protocol and how Rachel Notley and Justin Trudeau came to deliver the Business Council of Canada’s energy plan. Donald Gutstein explains how and why the door has been left wide open for oil companies to determine their own futures in Canada, and to go on fracking new “natural” gas wells, building new oil sands plants and constructing new pipelines. The Trudeau government’s purchase of the Trans Mountain pipeline in 2018 illustrates how entrenched neoliberalism has become. Under neoliberalism, the role of government is to create and enforce markets and prop them up when they fail, just as Trudeau did. This book offers the background information readers need to challenge politicians claiming they are taking meaningful action on global warming. The success of Harperism is no accident. Donald Gutstein documents the links between the politicians, think tanks, journalists, academics, and researchers who nurture and promote each other’s neo-liberal ideas.